These metal industrial dust collection fittings are simply the best you can find - period! 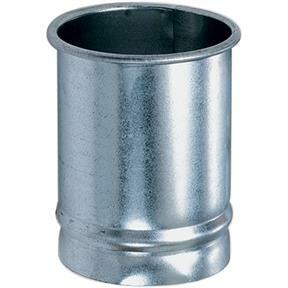 Use hose adapters to convert from solid pipe to flexible hose. Formed ridge holds hose on tightly with the help of a hose clamp. I am very pleased with the product and it works exactly as we need it to.